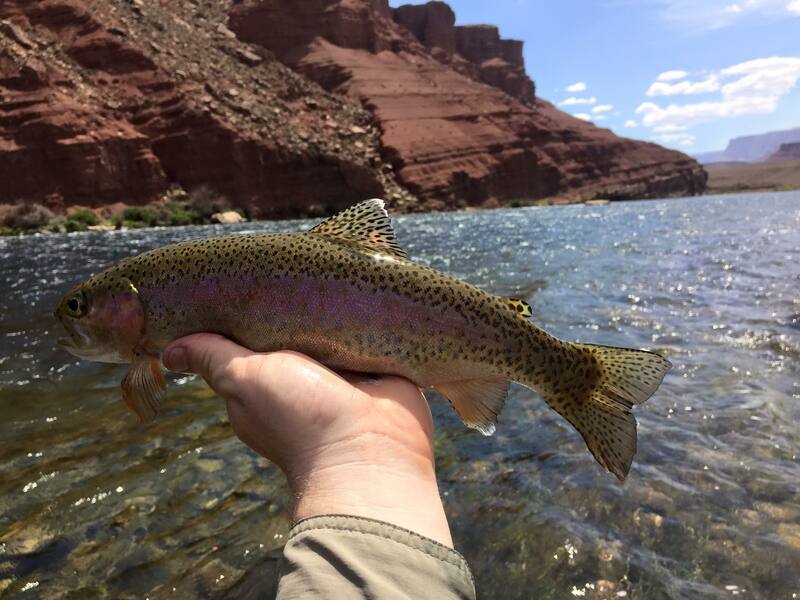 If you enjoy fishing for rainbow trout, the portion of the Colorado River that’s located in Lees Ferry, Arizona is just about the best place to do it. There are approximately 20,000 fish per mile in this section of the Colorado River. You pretty much have to experience Lees Ferry fishing for yourself at least once if rainbow trout is what you’re chasing after. However, it wasn’t always this way. Rainbow trout weren’t introduced into the Lees Ferry fishery until the mid-1960s when the Glen Canyon Dam was first built. And at the beginning, there were very few fishermen who cast their lines into that part of the Colorado River looking for rainbow trout. For the first 10 years after the dam was built, the waters sat largely untouched by the fishing community. Nevertheless, that all changed in the 1970s when more and more fishermen started to flock to Lees Ferry after hearing stories of fishermen pulling in rainbow trout as big as 10 pounds. 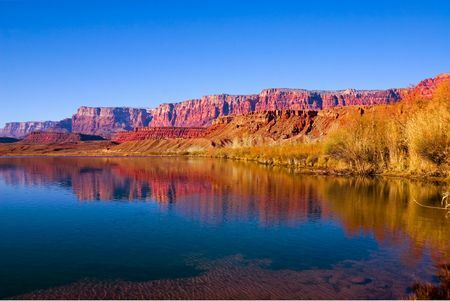 It also got a big boost from the Arizona Game and Fish Department in 1981 when they designated the section of the Colorado River in Lees Ferry as a blue-ribbon trout fishery. Even more fishermen started flooding the area to get a taste for fishing in Lees Ferry. Over the next two decades, the fishing in the area experienced its fair share of ups and downs. Some years, the nutrient-rich waters of the Colorado River produced plenty of fish to go around. But there was also a series of droughts and scientific studies in the area that impacted the local fishing and made it less appealing to fishermen. Over the last 10 years or so, the fishing in the Lees Ferry area has returned to its glory days and provided fishermen with excellent fishing conditions once again. Some have even said that the fishing in Lees Ferry is the best it’s ever been right now. That could change at any time depending on a variety of factors. 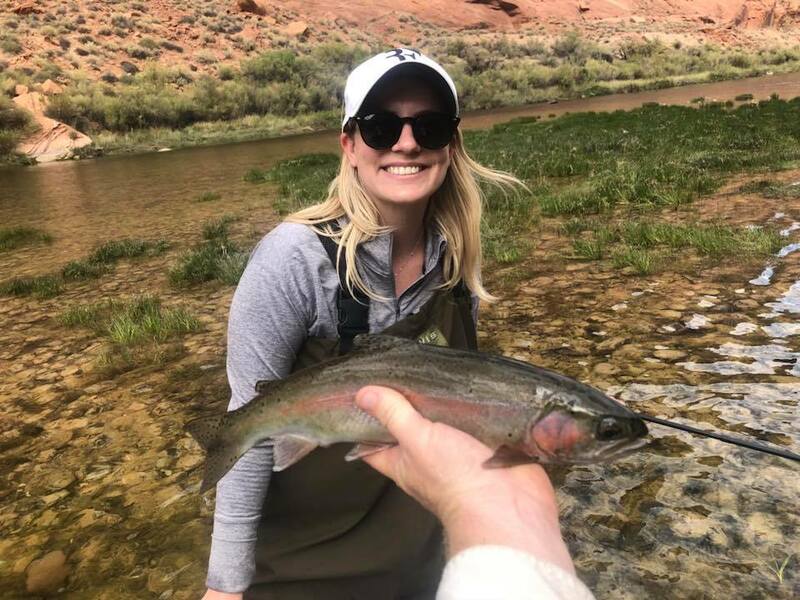 But at the moment, fishermen and fishing guides are having the time of their lives reeling in fish after fish between Lees Ferry and nearby Lake Powell. 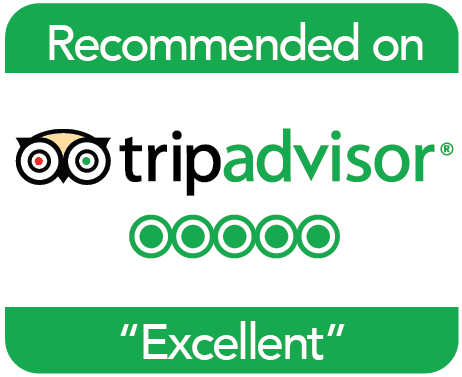 Would you like to see what the hype surrounding the fishing scene in Lees Ferry is all about for yourself? 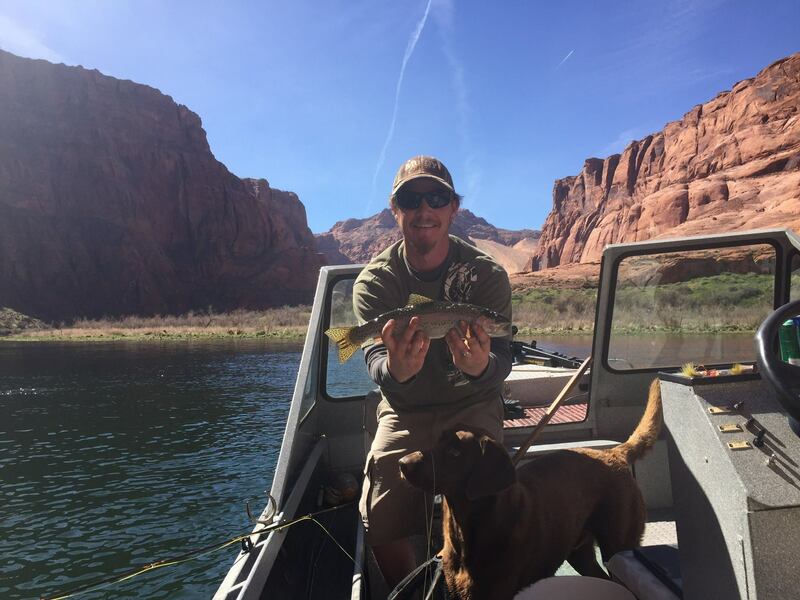 Call Marble Canyon Outfitters at 800-533-7339 today to arrange a guided fishing adventure in the area.